Edit your Podfile in a custom environment. Have easy access to running pod install and pod update on your projects. It also supports running every CocoaPods command via a hosted ruby environment. We’re just getting started with this app, want to help out and make contributions to hundreds of thousands of developer’s work flow? Get involved. You know how Xcode bundles the iOS simulators and compilers in an app? The CocoaPods app deal with hosting the ruby environment and gems in the same way. This means everything you need for running is handled by people who know what they’re doing. 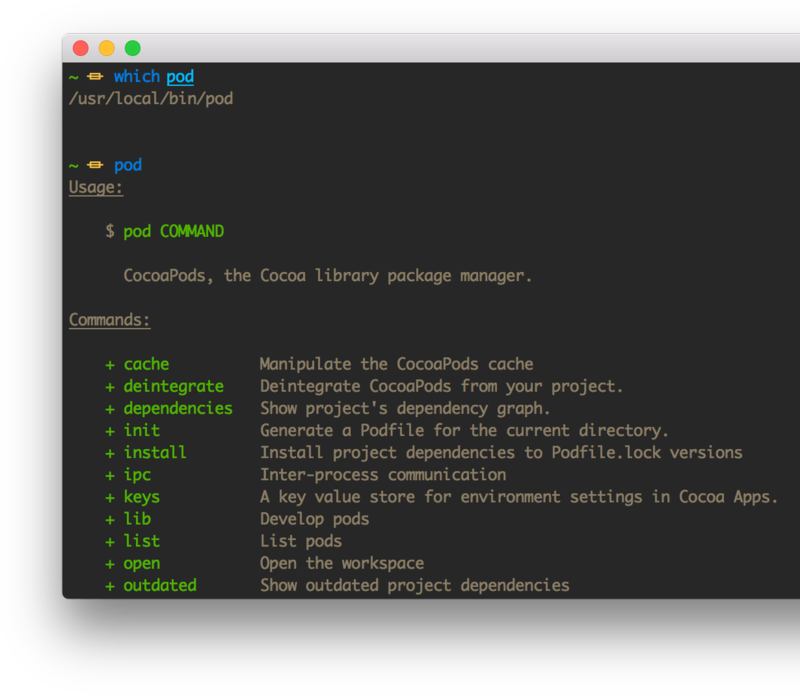 You can use the CocoaPods App’s version of pod in the terminal with one click. So you can still do everything you did before. To hammer the point home, the app hosts all of its tooling. You don't need to set up anything; it's all in the app. The app comes with comprehensive editing tools. Supporting the whole CocoaPods DSL and auto-completing CocoaPods. 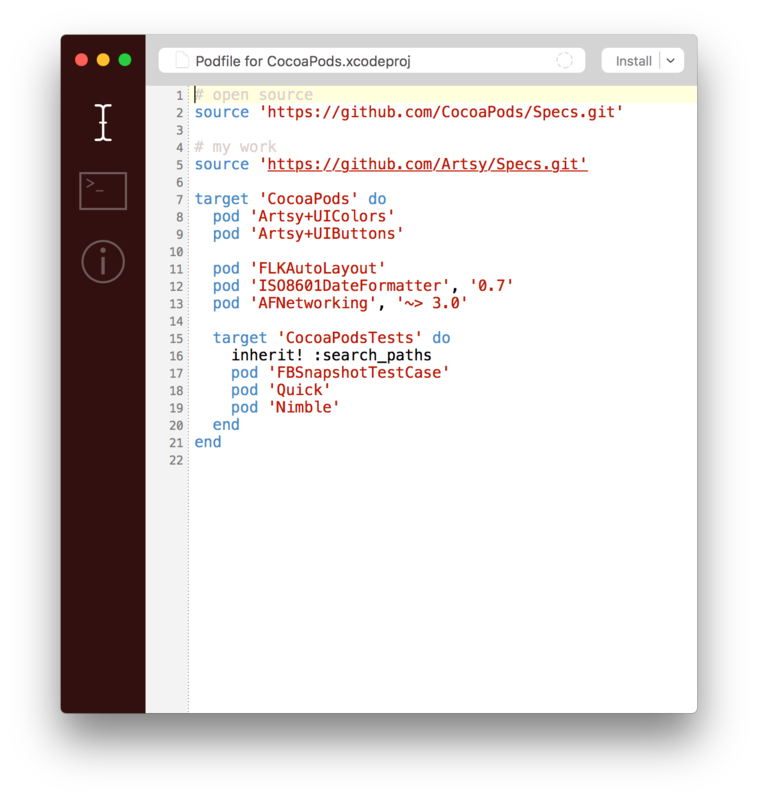 The app makes it easy to add CocoaPods to a new project, or remove it from an existing one. Swift, CocoaPods, Objective-C, C, XPC, Ruby, RubyCocoa, Storyboards and available for inspection. You can look at all of our releases on the CocoaPods/CocoaPods-App GitHub releases page.